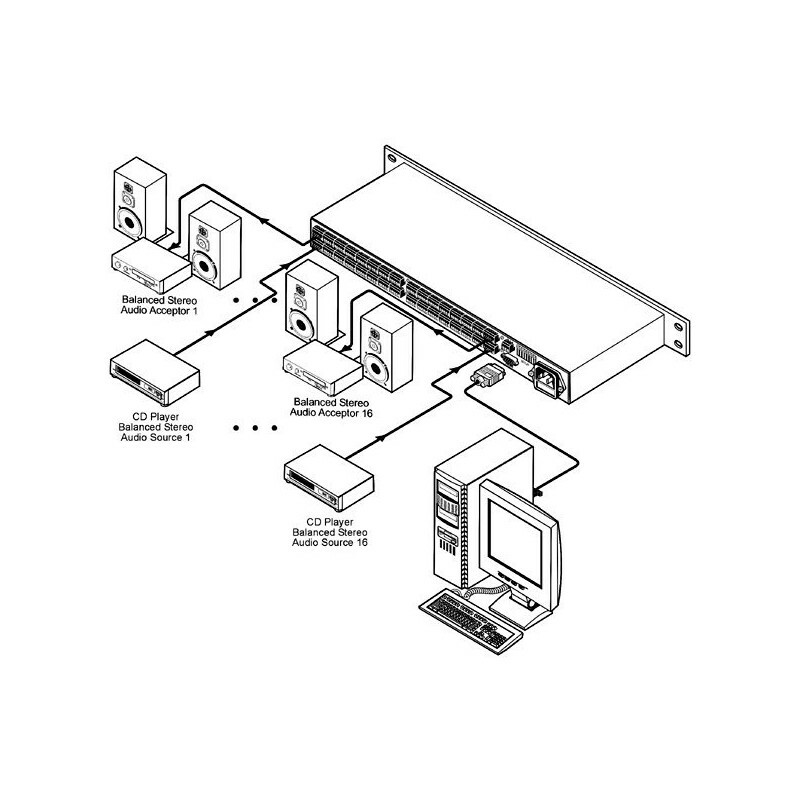 Input — 8 balanced stereo. Output — 8 balanced stereo. Volume — — 95dB to +31dB in 0.5dB steps; L& R channels may be controlled separately or together. 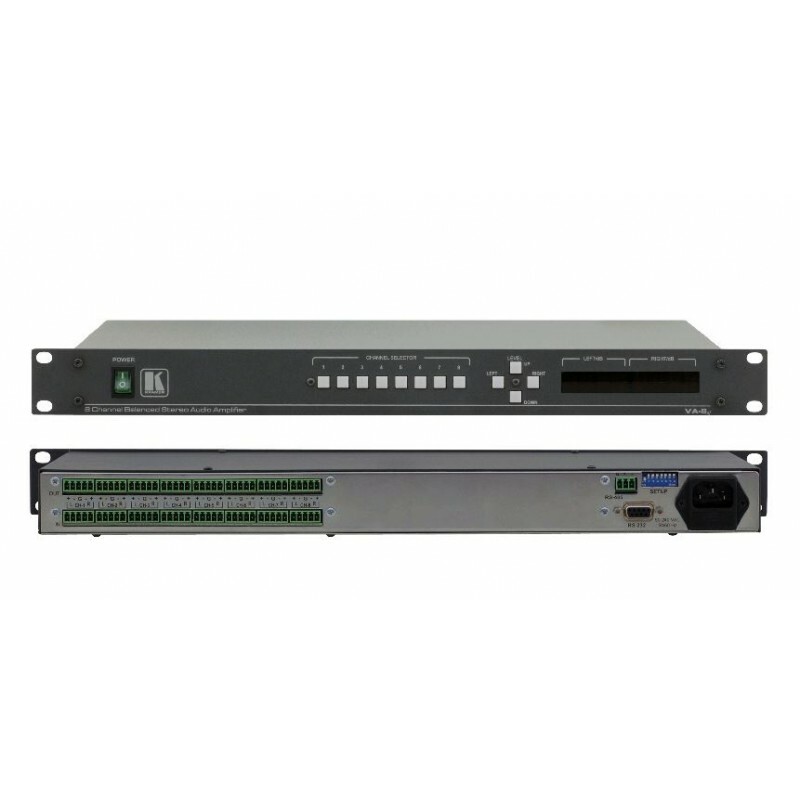 Control — Front panel, RS–232 and RS–485. Standard 19” Rack Mount Size — 1U. Large presentation audio level control. Audio broadcast and editing studios. PA remote audio level control. Technical datasheet for the Kramer Electronics VA-8XL 8-channel balanced stereo volume controller.